Irritable Bowel Syndrome or IBS is a very common digestive disorder that plagues innumerable people around the world and can be treated with Ayurveda. It is a very common gut condition and affects one in five people People in the age group of 25 to 45 are more prone to this disease. Scientific research has established its link to stress and worry but the exact cause of the disease is still unknown. It is a disorder of the intestines causing abdominal pain, discomfort, cramping, bloating, and diarrhea or constipation. This condition can usually be diagnosed when a person has the typical symptoms of this disorder and other causes have been ruled out by routine tests. The wall of the intestine usually exhibits rhythmic contractions called the peristaltic movements, by which it facilitates the passage of the contents from one part to the next. In IBS, the walls of the intestines are sensitized to even mild stimulus which causes excess spasmodic contraction of the wall of intestines. Specific foods like caffeine, spicy foods etc may initiate such response or at times just the presence of food in the intestines can trigger such response. Stress is an important causative factor. In some people this condition may start after an episode of intestinal infection. Cramps in the abdominal region that ease with the passing of wind or motion. Diarrhea and constipation are common among people affected by IBS. The affected person often experiences incomplete evacuation. Backaches, headaches and tiredness are also common symptoms of IBS. There are often certain gynaecological and urinary syndromes during IBS. The minor symptoms include bloating, anxiety, rapid transit of food through the gut, nausea, fatigue, bad breath etc. Ayurveda characterizes the disease by the passage of stools alternated with constipation or diarrhea and with undigested food particles. This disease is also associated with thirst, distaste, blackouts, pedal edema, pain in the bone, fever, and vomiting. imbalance in the functioning modes of the body. According to Ayurveda, IBS is curable in children, difficult to treat in middle age, and incurable in older patients.. 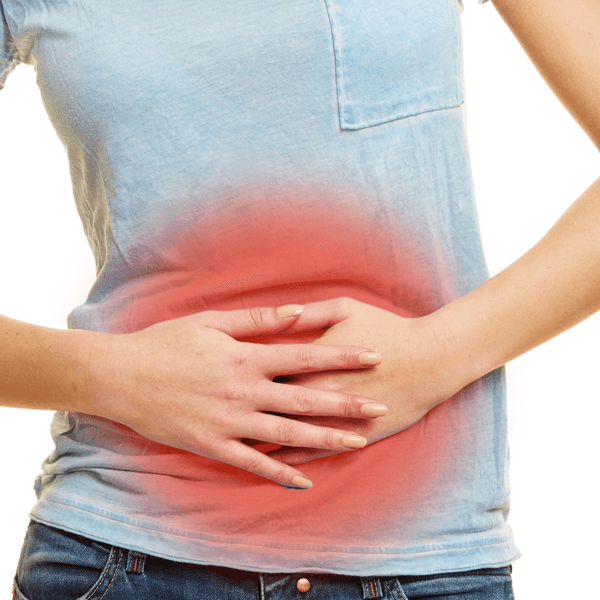 The digestive fire is greatly affected in this condition. Hence, the first step of treatment is regulation of the digestive fire and elimination of the undigested toxins. The treatment for indigestion is done by fasting, administration of digestive and carminative formulations etc… When the toxins are profound, it first has to be eliminated through detoxitification. In Ayurveda, detoxification or removal of Ama is done through the Panchakarma therapies of Vamana (medicated emesis) and Virechana (medicated purgation).These procedures along with internal medicines give remarkable results in this condition. When IBS is stress induced, Shirodhara, is very useful. With the right diet and lifestyle and with regular practice of Yoga and Pranayama, one can effectively manage the disease. Yogic Asanas and breathing techniques called “Pranayama” can also be used to reduce stress and improve intestinal function. Regular and mild exercises help to increase digestion. Practicing Yoga regularly help to regulate the digestion and bowel movements Regular practice of yoga improves appetite, digestion, and regulates metabolism, and provides relief from this condition. are very effective in fighting this disease. (Spinal Twist), Ardha Shalabhasana (Half locust pose) , Bhujangasana (Cobra pose), Backwards bends and Ushtrasana (Camel pose) are also useful. Postures suitable to each patients need to be taught by physician. Ayurveda emphasize the use of Buttermilk (takra) for the treatment of IBS. The patient has to be kept on the diet of buttermilk, which is the treatment and nutrition in IBS. Buttermilk is digestive, astringent, and light to digest and helps in improving the consistency of the stool. Buttermilk is given along with asafoetida, cumin, and rock-salt powder to control the bowel movements. It contains a good amount of lactobacillus bacteria, which helps restore the normal flora of the intestines. Trikatu, a compound containing black pepper, long pepper, and ginger, is specific for low enzyme. The diet should be always light and easily digestible. Use of Ghee regularly is very good on chronic diseases of the digestive system. Too much oily food has to be avoided. Too much heavy, spicy, hot and salty food has bad impact over the digestive system. Digestive and carminative spices like cumin, pepper, ginger, asafoetida etc should always be used in our diet. Curd should not be taken regularly. Food should be taken only after one feels hungry. Sipping hot water at intervals helps in increasing digestion. Avoid excessive cold beverages and food. Foods which are old or refrigerated should not be consumed.